Believe it or not, I read this before Cait. (Though she read it right after me and fangirled so much she decided I should write the review because she was too emotionally invested.) You can catch Cait’s review on Goodreads. Thank you Pan Macmillan Australia for the review-copy! 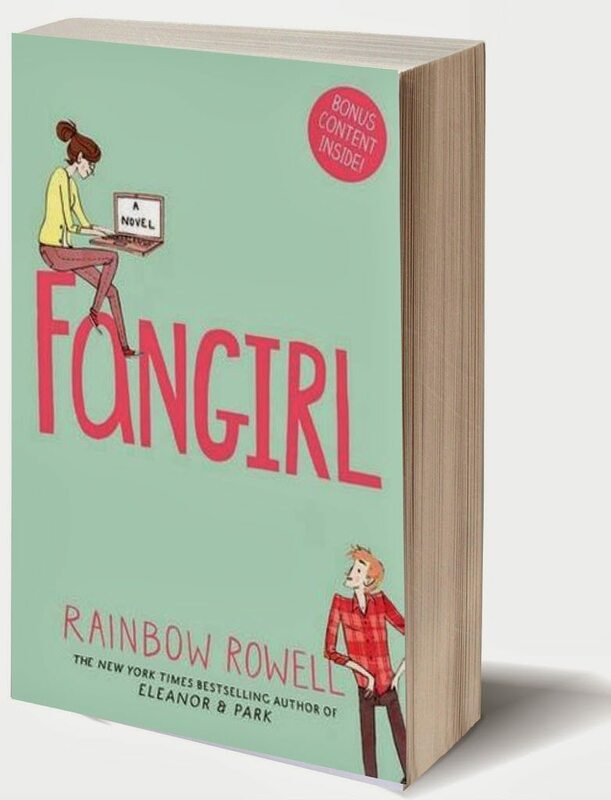 FANGIRL by Rainbow Rowell hits shelves on April 1st, 2014! If you want a book that basically sums up the Internet age? This is the one. I love all the references to pinterest/tumblr/meme culture. It’s fun and hilarious, but it does have a fairly da-da-da type of plot. I really enjoyed the characters. While Cath, the narrator, isn’t someone who will get on my list of Most Memorable protagonists, she is undeniably well-written. I am fairly introverted, and Cait is very introverted, so I know how socially uncomfortable people respond to situations. Cath is so realistic. The way she actually does cry. The way she’s bold as anything on the Internet. She has a fettish for peanut butter. And she loves her twin sister SO MUCH. I was kind of mad at Levi the Love Interest a few times… (HOW DARE YOU, YOU STUPID BOY!) And Nick…don’t get me started. I think Cath and Wren (her twin sister) could be a little stereotypical as a pair. I mean, the super-introverted nice girl with the super-extroverted party girl as a twin?? On the surface it was very “Yep. Expected.” Underneath, I like it that Wren wasn’t as shallow as she first appeared. The plot was, as I said before, not very fast. I have trouble picking out the main plot. The whole thing wasn’t about the romance. It wasn’t all about Cath and Wren. It wasn’t just about Cath’s writing. And it was more than a college story. It was kind of a whole bunch of threads tied together, and they all worked gorgeously. But while they each had a climax (and a good one), they didn’t all come together to make the plot memorable. It was funny, and I identified with Cath. It was beautiful, and a tiny bit bittersweet. It wasn’t hilarious, though, which I’d hoped for, and it didn’t leave me in a puddle of tears. I didn’t have the feelz. (Hence the 4-stars, not 5.) But it’s totally enjoyable and absolutely worth the read. Mime is doing work experience at the library. This is a simultaneously scary and exciting thing, as she’s never had a job before. She is extremely relieved that all the exams are over for Term 1, and the holidays are coming up. Unfortunately, so is Cross Country. She hopes dearly that she doesn’t get lost. Unlike last time. I'm glad you enjoyed this Mime! While it didn't live up to my expectations, I still enjoyed it. Thank you for the awesome review! I always love reading the bit about you and Cait at the end of posts. Actually laughed out loud at the "getting lost at cross country" bit. How'd you manage that?? ?A++ use of Despicable Me gifs. I really didn't like Nick either. I was expecting something amazing when I picked up this book but while I enjoyed it, it wasn't the OMG everyone has to read this now type of book that I thought it would be. Great review! Also, I'm confused. Was Fangirl not released in Australia when it was published over here? Because I thought it was out since like… last fall. Ish. It was nice for a read that isn't going to make your heart strings burst nor give you an aneurysm. Everyone needs a more relaxing but still enjoyable read sometimes, so I definitely reccommend it! The dialogue was pretty good. I need to read Eleanor and Park sometime, because Rowell's writing is really cool. I like it that you can tell in Fangirl how much she gets the whole Internet thing. It's great. I am glad you enjoyed this one! I struggled with it a lot and the Simon Snow fanfiction completely put me off. I just found it really hard going because the plot was a little to 'I did this and then that and then that happened and this happened.' I got so bored at times. Plus, I didn't really like or get Levi all that much. Yeah, it wasn't the fastest plot in the race, that's for sure. I was on holidays when I read it, bored, so I speed read it both out of enjoyment and nothing better to do. I wasn't a huge fan of Simon Snow… it was okay, but I was a bit uncomfortable with some of it, and I wasn't sure whether it needed to be there at all or not. I've read this one awhile back and I do agree about Cath not being that memorable as a character. Honestly, I don't remember that much about her voice right now. But I do recall being able to easily sympathize and relate to Cath which is crucial for me :] I actually don't remember Levi annoying me at all in Fangirl. I loved Cath and Levi's romance. Adam definitely did annoy me though haha. Lovely review! (: You definitely realized some interesting points I never noticed, such as the lack of a solid singular plot. I believe we rated this the same way, 4-stars. And I agree, Levi did annoy me, too, sometimes, but man, he's such a sweetheart. Did you feel like skipping the Simon Snow parts? I was so tempted, but I didn't. I was really tempted. They were sort of good for the story line, I mean, they didn't take it away, but Cait skimmed them, and she still loved it. I made sure I read them, though, because I thought they'd be more important than they were. They weren't bad, though. Really? I suppose if you're not an extreme introvert–or it doesn't show in the same ways as Cath–the book could be really blah. Actually, I think Fangirl appeals to the minority, but it just so happens that minority makes up the majority of book bloggers. I'm not sure we always have the same release dates. But maybe you saw ARC reviews? I'm not sure how long its been out world wide. Phew! I'm glad I'm not the only one who disliked Levi at times! He was mostly cool, though. I mean, he always brought her not-coffee. That's a thumbs up in my book. The subplots were really fun. And they all did tie of well. Or most of them. I like the ending between her and Wren. It was nice, like not too happy-happy, but not "WHAT ARE YOU DOING TO ME?!" You know? Exactly! That's my opinion. Good–really good. But not great. Thank you! It's a good one for the TBR list. It also looks good on there, because it's such a nice colour. You should definitely read it. My thoughts exactly. Super realistic. 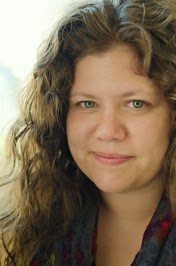 I totally take my hat off to Rainbow Rowell. Or, I would. If I was wearing a hat. I really thought it would be more hilarious. But it was still pretty good! Thank you! SO GLAD YOU LADIES FINALLY READ THIS BOOK. I figured out of all my friends, you two would like it the most. Cath was incredibly relatable and I loved that. Levi was so frustrating sometimes, omg. I wasn't too fond of Cath's twin (I can't even remember her name) and completely agree about the pair being the stereotypical twins. Have you read anything else by Rowell? I don't really want to read E&P but everyone says Attachments and Landline are really good! This is THE greatest book I have read! It has suspense, heart ache, romance, and a lot of fangirling. It is a great book for anyone who enjoys reading fan-fiction. The author is amazing! She was able to form characters that one can relate to, feel betrayed by, and most importantly, fall in love with.